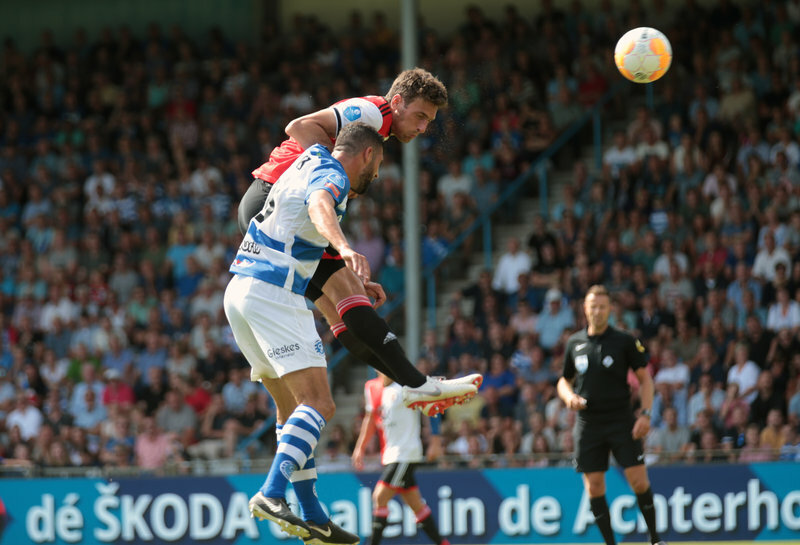 Feyenoord suffered defeat in the opening match of the 2018-2019 Eredivisie season on Sunday afternoon. De Graafschap were too sassy for head coach Giovanni van Bronckhorst’s side, running out 2-0 winners at De Vijverberg. The visitors ended the match with just nine players on the pitch, after red cards for Eric Botteghin and Jean-Paul Boëtius (both for two yellows). Feyenoord were looking to get the season off to a good start and get the train back on the rails after the 4-0 loss at AS Trencin in midweek in the Europa League third qualifying round. The performance in the first half an hour showed that they were ready to do that. The visitors showed a lot of passion and a willingness to get stuck in, which generated a number of good chances. Jens Toornstra was dangerous in front of goal, De Graafschap keeper Hidde Jurjus kept out a hard Jordy Clasie drive and Tonny Vilhena missed a glaring opportunity to open the scoring. But the hosts ultimately claimed the first goal of the afternoon. Justin Bijlow was able to stop the first shot on his goal into the third quarter of the half, but Fabian Serrarens left him helpless with the rebound. Feyenoord came back strongly after the break, creating a string of chances – through Tonny Vilhena, Jean-Paul Boëtius, Eric Botteghin, Luis Sinisterra and others – but the leveller failed to materialise. Stef Nijland hammered the final nail into the coffin at the death, doubling the hosts’ lead. By that time Feyenoord has only nine men on the pitch. Eric Botteghin and Boëtius both saw red after two yellows. Feyenoord will try to get back on track this Thursday when AS Trencín are the opponents in the second leg of the Europa League qualifier, with Excelsior next up in the Eredivisie, the season’s first league match at De Kuip, kick off 14:30 CET.